Lost in Translation KHL Edition! Looks like Valdimir Sobotka is staying in the KHL this year. We discuss this along with the Jaden Schwartz injury and how the St. Louis Blues are doing so far this preseason. There’s been a few surprises so far. Listen to find out. Let us know what you think. Thanks for sticking with us. We want to hear from you, our listeners! Get the latest news about the Blues Hockey podcast on our Twitter account (@BluesHockeyNHL). Follow us on Twitter by clicking the link below and “Like” us on Facebook. Remember to rate us on ITunes and email us with any questions you have about the show at blueshockeypodcast@gmail.com. Check out our meet the hosts tab on our homepage if you want to contact any of us on the podcast. Help spread the word about the podcast. 2016 Central Division preview! Time to break down the St. Louis Blues opponents in the Central and Ashley (@ashlayryan) is back, Also, she has accepted our invite to join the podcast permanently. We’re thrilled to have her onboard. We go over everything St. Louis Blues related along with the usual witty banter you expect from us. Let us know what you think. Thanks for sticking with us. We want to hear from you, our listeners! Get the latest news about the Blues Hockey podcast on our Twitter account (@BluesHockeyNHL). Follow us on Twitter by clicking the link below and “Like” us on Facebook. Remember to rate us on ITunes and email us with any questions you have about the show at blueshockeypodcast@gmail.com. Check out our meet the hosts tab on our homepage if you want to contact any of us on the podcast. Help spread the word about the podcast. Three’s Company! We’re back and we have a guest host to add to the podcast. Our friend, Ashley (@ashlayryan) We go over everything that the St. Louis Blues did or did not do in the offseason, give our predictions, and discuss a variety of other topics like if Nirvana is overrated. Let us know what you think. Thanks for sticking with us. We want to hear from you, our listeners! 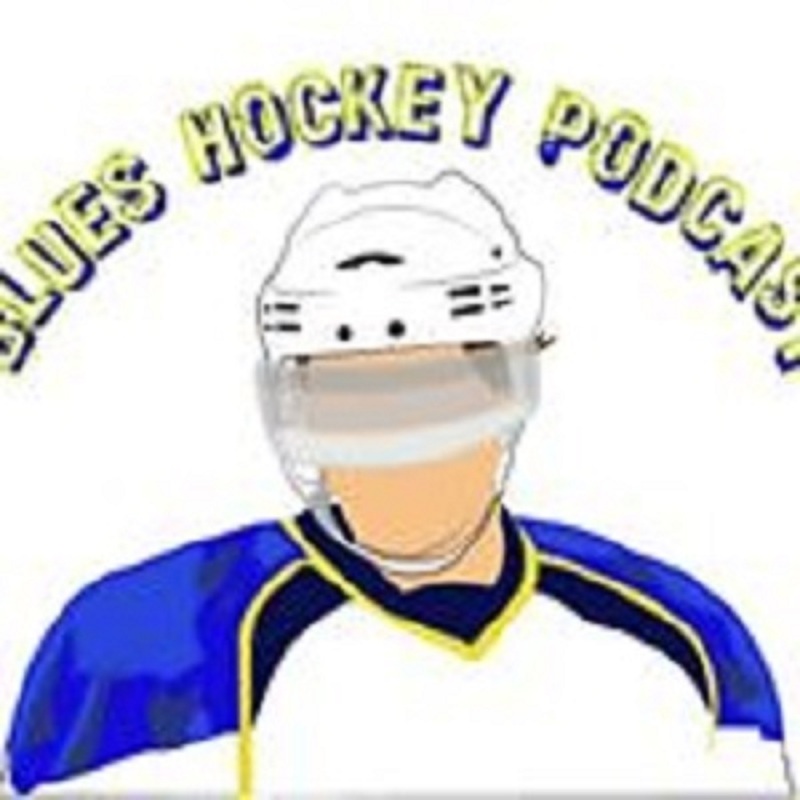 Get the latest news about the Blues Hockey podcast on our Twitter account (@BluesHockeyNHL). Follow us on Twitter by clicking the link below and “Like” us on Facebook. Remember to rate us on ITunes and email us with any questions you have about the show at blueshockeypodcast@gmail.com. Check out our meet the hosts tab on our homepage if you want to contact any of us on the podcast. Help spread the word about the podcast. O Captain, My Former Captain!. It was a rough week for St. Louis Blues fans. Playoff heroes traded and our captian signed elsewhere. But hey, David Perron is back! 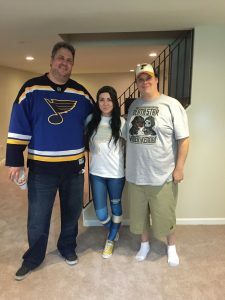 (I’m actually ok with the signing) Chris, Guest host Jeff Ponder and I go over the St. Louis Blues draft, free agency, and everything else that happened in the NHL! Also, we answered your questions from Twitter. Its a long podcast with a bit of ranting mixed in with some logical thoughts. Thanks for sticking with us. We want to hear from you, our listeners! Get the latest news about the Blues Hockey podcast on our Twitter account (@BluesHockeyNHL). Follow us on Twitter by clicking the link below and “Like” us on Facebook. Remember to rate us on ITunes and email us with any questions you have about the show at blueshockeypodcast@gmail.com. Check out our meet the hosts tab on our homepage if you want to contact any of us on the podcast. Help spread the word about the podcast. 2016 Draft Preview Special!. Chris and I are going to preview the 2016 NHL Draft. We will preview the top picks and give you some St. Louis born players who have a chance to be drafted the first round. We will be giving our predictions on what we think the Blues will do in the offseason and we answer your questions from Twitter. Thanks for sticking with us. We want to hear from you, our listeners! Get the latest news about the Blues Hockey podcast on our Twitter account (@BluesHockeyNHL). Follow us on Twitter by clicking the link below and “Like” us on Facebook. Remember to rate us on ITunes and email us with any questions you have about the show at blueshockeypodcast@gmail.com. Check out our meet the hosts tab on our homepage if you want to contact any of us on the podcast. Help spread the word about the podcast. Shark bitten!. Chris and I are back to go over the Blues Western Conference Finals loss to the San Jose Sharks. Chris and I will discuss the third round playoff matchup with the San Jose Sharks and some St. Louis Blues coaching news. We even had one player resigned already but not the player you would think Doug Armstrong would sign first. Thanks for sticking with us. We want to hear from you, our listeners! Get the latest news about the Blues Hockey podcast on our Twitter account (@BluesHockeyNHL). Follow us on Twitter by clicking the link below and “Like” us on Facebook. Remember to rate us on ITunes and email us with any questions you have about the show at blueshockeypodcast@gmail.com. Check out our meet the hosts tab on our homepage if you want to contact any of us on the podcast. Help spread the word about the podcast. Blues Outshine Stars!. Chris and I are back. What a ride it has been so far. Blues go to the limit again and come out on top. Chris and I will discuss the second round playoff matchup with the Dallas Stars and discuss the first four games of the third round series against the San Jose Sharks. Thanks for sticking with us. We want to hear from you, our listeners! Get the latest news about the Blues Hockey podcast on our Twitter account (@BluesHockeyNHL). Follow us on Twitter by clicking the link below and “Like” us on Facebook. Check out our meet the hosts tab on our homepage if you want to contact any of us on the podcast. Help spread the word about the podcast. Blackhawks Down!. Chris and I are back. We are capitalizing on all of the recent rock band comebacks. Anyways, what a better time to comeback than the playoffs. Chris and I will discuss the first round playoff matchup with the Chicago Blackhawks and preview the second round matchup against the Dallas Stars. Thanks for sticking with us. We want to hear from you, our listeners! Get the latest news about the Blues Hockey podcast on our Twitter account (@BluesHockeyNHL). Follow us on Twitter by clicking the link below and “Like” us on Facebook. Check out our meet the hosts tab on our homepage if you want to contact any of us on the podcast. Help spread the word about the podcast.